Relumins Medicated Professional Acne Clear Soap - with Calamansi & Salicylic Acid this soap is designed to fights sebum build up inside of pores, clarify & reduce pores, reduce acne breakouts for naturally brighter, smoother & healthy skin. Relumins Medicated Professional Acne Clear Foaming Wash - Designed to helps reduce acne and prevent future breakouts with Salicylic Acid, naturally derived from Willow Bark. The Soybean Seed Extract promotes collagen biosynthesis and inhibits pigmentation. The Pear Ferment peels and clarifies clogged pores. Easy applicator generates a foaming face wash that deeply cleanses to remove make-up, dirt and oil from pores. Relumins Medicated Professional Acne Clear Solution/Toner - Designed to fight blackheads & reduces pore size but penetrating deep into the skin. Houttuynia Cordata Extract is an antioxidant & anti-environmental stress ingredient that keeps your skin bright, fresh & clean and helps fight against damaging inflammation. 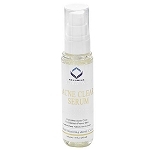 Relumins Medicated Professional Acne Clear Serum - Designed to penetrate active blemishes to fight acne causing bacteria to reveal healthy, glowing, clear skin. Neem Leaf Extract prevents aggravation of acne due to mental stress and helps fight against damaging inflammation. 1. Use Relumins Acne Clear Bar Soap when bathing for face & body. Wet skin and gently lather face and body. Rinse thoroughly. 2. 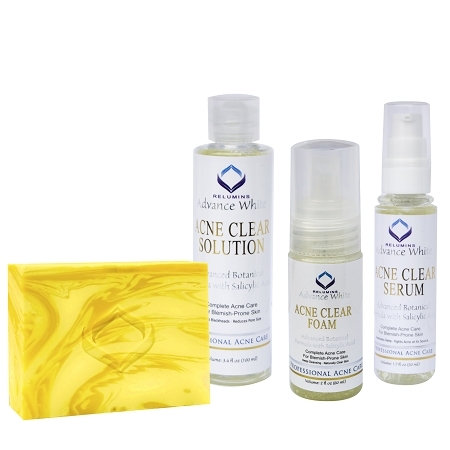 Use Relumins Acne Clear Foam Facial Wash daily to cleanse. Pump into your hands and work into lather. Massage lather onto skin with a gentle, circular motion, avoiding contact with the delicate eye area. Rinse and pat dry with a soft towel.